So yesterday, the 21st of October was National Apple Day! 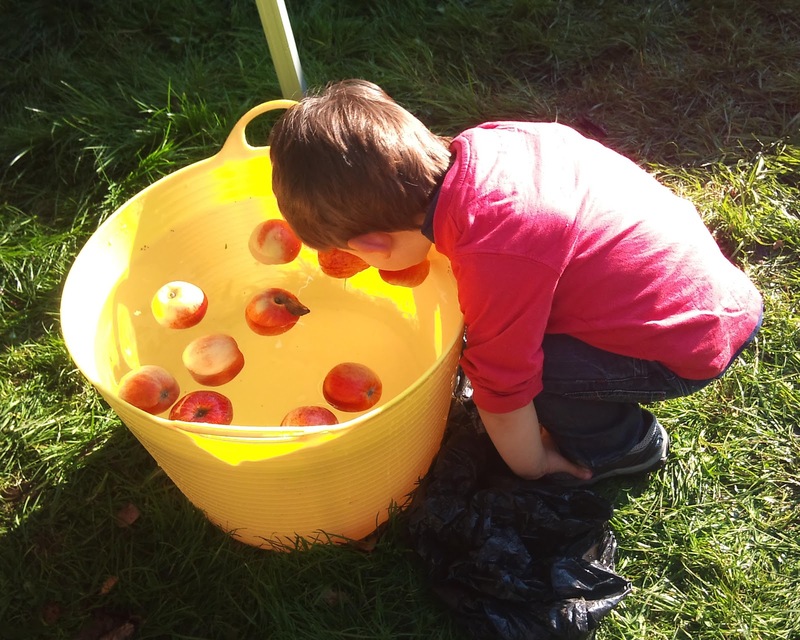 When I heard that Incredible Edible Prestwich & District were holding an Apple Day at Phillips Park to celebrate, I knew we had to go and see what it was all about! 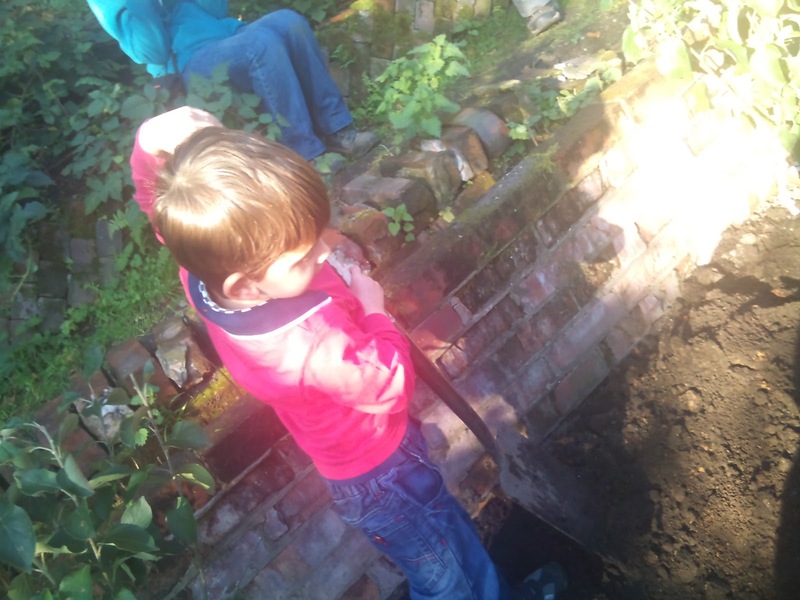 Ben, my 4 year old absolutely loves gardening, growing veg and anything to do with it including picking apples from the trees in Gran's garden! 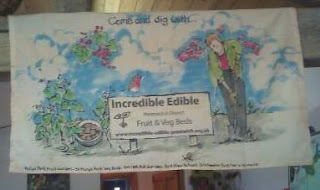 I'm also lucky that he really enjoys his fruit and veg, especially apples! The poster enticed us with an array of activities from apple themed games to sampling apple pancakes and even helping to plant Apple Trees! 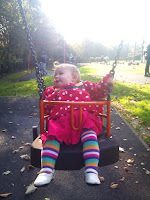 So off we went this morning, delighted to find it was a pleasantly warm, if a little windy, autumn day! We then entered the longest apple peel competition and Ben managed a fantastic effort at 160cms! 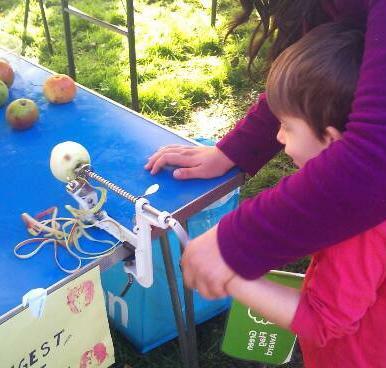 Although not a winner he definitely got on the leader board, and loved the spiral shape the apple came out in! 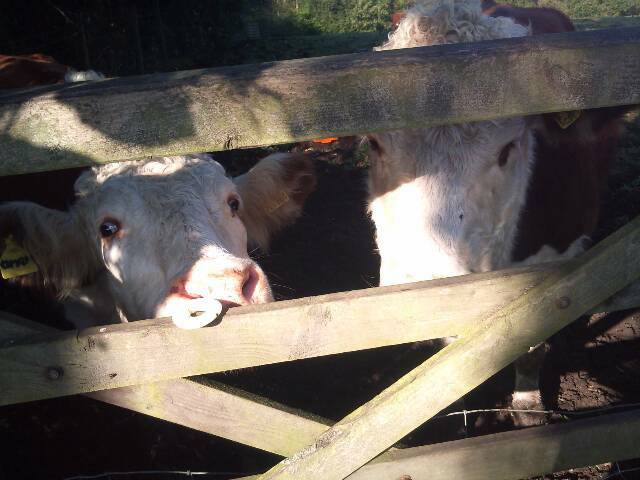 We then walked over to the adjoining field and fed the apple to the cows! Elizabeth was completely entranced by them! Next up was the messy tent! Ben made some fabulous apple print pictures which keep him entertained for quite a while! After cleaning up the paint we wandered over to the play area and let him run around for a bit while Elizabeth had a nice giggle on the swings! 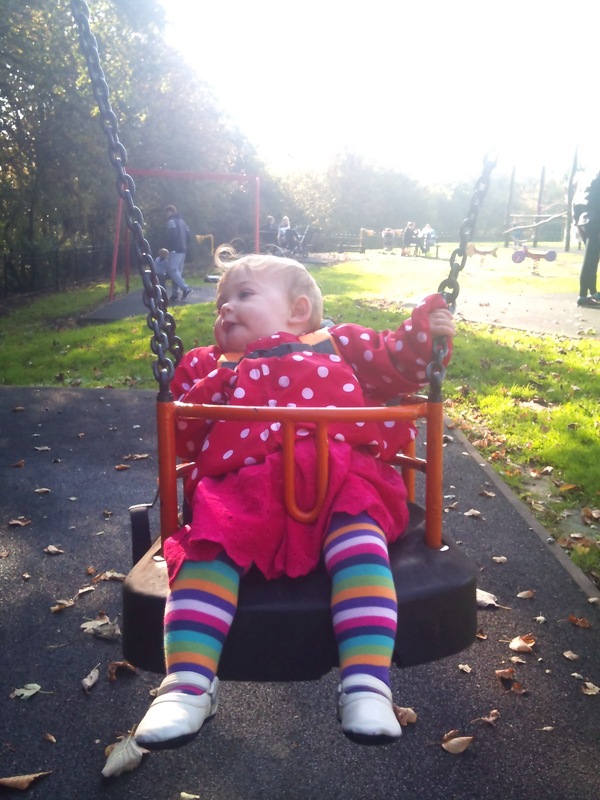 I can't get over what a nice day it was, I certainly didn't think we'd be playing in the park at this time of year! Next it was time to make some apple juice from the apples we had picked from 'Gran's' garden! Ben was very excited about this and had barely let go of the bag of apples while we were wandering round! 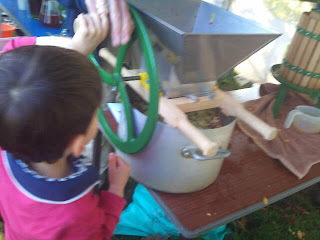 We all got to taste the juice and it was gorgeous, nothing like the packaged stuff from the supermarket! 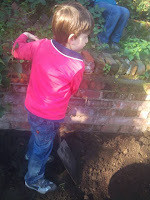 After tasting some pancakes and buying some lovely homemade chutneys it was time to walk down to where the trees were to be planted! I have to say I'm very glad Daddy was carrying Elizabeth as the steps were rather steep! Ben was very keen to join in and helped cover the roots in soil keeping the new apple trees nice and 'warm' for the winter! 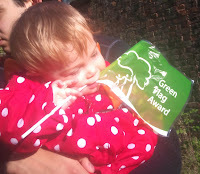 As well as the activities Balloon and flags were given to the little ones which they both loved, Elizabeth didn't want to let go of her flag when we were getting in the car! 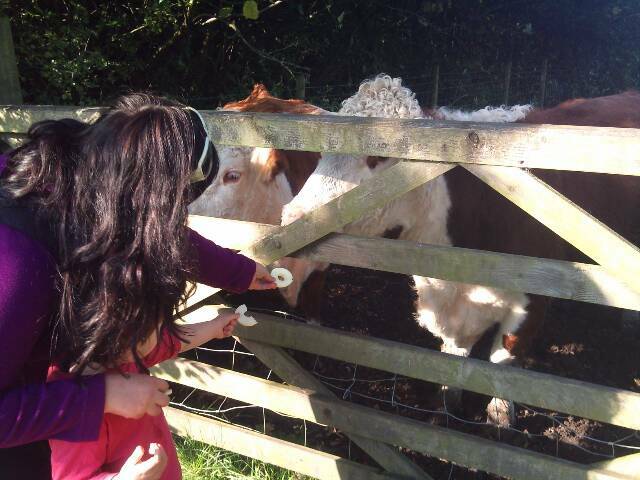 It was a really great day out, lovely to be able to enjoy the fresh air at this time of year and it was FREE! Free parking and the activities were free too! 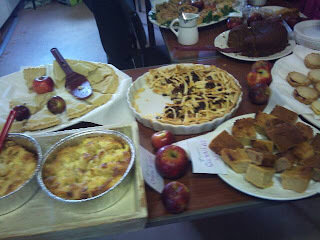 A small donation of your choice was asked for for the pancake tasting and apple peel competition but they were worth it! The prices of the jams and chutneys and refreshments in the 'barn' were really reasonable. For the whole day out we spend less than £5! We are lucky to have such groups in our local area and I can't wait to get involved in their projects! To see if you have anything similar in your local area why not check out 'What's On' on your MadeforMums Neighbourhood site?